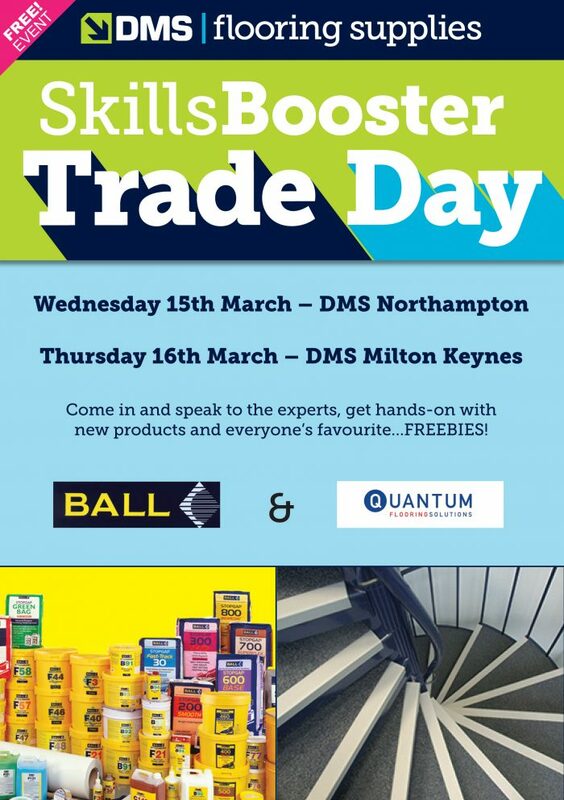 DMS Flooring SuppliesEvents at DMSMarch Skill Booster Update – Quantum Flooring Solutions! March Skill Booster Update – Quantum Flooring Solutions! We had such a great response to our upcoming F-Ball trade day that we’ve added a second supplier! Quantum Flooring Solutions will be attending both days at our Northampton & Milton Keynes Branch!